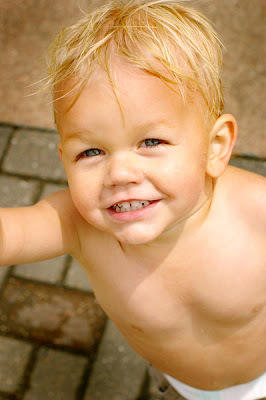 Some of N after getting soaked at some fountains....I finally got him to look at me for longer than 1/2 second! Yay! Some shadows, but I caught a smile! what a cutie! the shadows are barely there. and i looked thru your blog--you have some wonderful photos! great job!